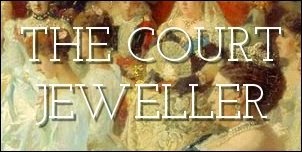 When Lieutenant Philip Mountbatten -- or, as he was formerly known, His Royal Highness Prince Philip of Greece and Denmark -- proposed to Princess Elizabeth of the United Kingdom in the 1940s, he had to find a way to present his bride with jewels appropriate for a future queen while earning a sailor's paycheck. Help came in the form of a diamond tiara owned by his mother, Princess Alice of Battenberg. The piece was dismantled; some of the stones were used to create Elizabeth's engagement ring, while others were used to make the piece we're discussing today: the diamond bracelet he offered his new wife as a wedding present. Philip went to a London-based jewelry firm, Philip Antrobus Ltd., to create the new diamond pieces in 1947. The engagement ring claimed a three-carat brilliant, plus several smaller stones; the new bracelet also includes three large brilliant-cut diamonds. The bracelet's design is geometric, almost Art Deco-inspired. It features three large, square links connected by vertical sections. Like the engagement ring, the bracelet is set in platinum. From the start, Elizabeth chose the new bracelet for significant white-tie events. 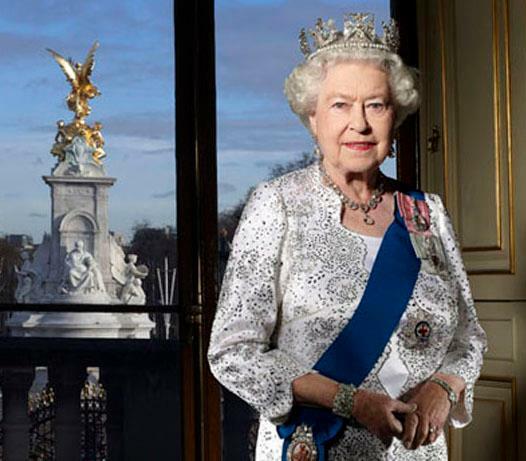 Several of her early portraits feature the bracelet; she also chose it for her official Diamond Jubilee portraits in 2012. The Queen's collection includes a number of diamond bracelets of a similar shape and size to this one, including Queen Mary's chain link bracelets and the diamond and gold bracelet that belonged to Queen Victoria. But while those other pieces have major historical and family importance, the sentimental value of this bracelet is pretty hard to deny. It's no wonder that it has remained a staple in the Queen's jewelry box for nearly seventy years.